Help-U-Sell Real Estate's marketing program for luxury homes has been revamped. At Help-U-Sell Real Estate, we can save sellers the most money when they’re selling $1 million (and up) homes. Several of our offices regularly handle these high-end transactions, helping clients keep tens of thousands of dollars they would have paid an agent who charges a standard commission. But some of these more upscale sellers would prefer to display signage that has a more elegant look and feel than the Help-U-Sell Real Estate red and black. 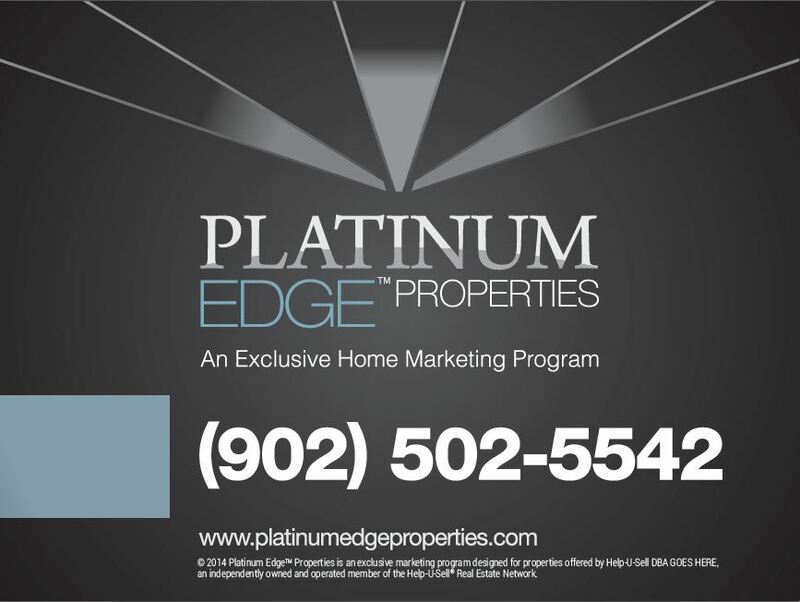 Our revamped marketing program, Platinum Edge Properties, fulfills these sellers’ wishes, but almost everything else is the same as the Help-U-Sell business model. Most importantly, sellers still receive full service from licensed real estate professionals and save money. Platinum Edge Properties marketing materials include yard signage (pictured above), business cards, an informational brochure, a property flyer, and an advertisement. Help-U-Sell Real Estate offices have begun to use the new signage already. Signs can be ordered through both of our preferred sign vendors, Oakley Signs & Graphics and Realty Sign Xpress. Business cards are available from Alexander’s Print Advantage, and brochures will be up in the next few weeks. Design files can be accessed using the Download Library in the Office Management System if brokers would prefer to print materials using local vendors. More details about the program, such as the criteria a property must meet to use the Platinum Edge Properties program, will be revealed soon.